Ah, the legendary exploits of Mole, Rat, Badger, and Toad! 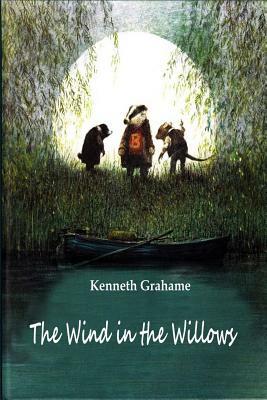 While intended for children, Grahame's classic is essential reading for even high-minded existentialists, with meditations on nature, individuality, friendship, responsibility, courage, and addiction. This edition features Ernest H Shepard's expert illustrations that perfectly capture the charm and complexity of this great book. Mole, Water Rat, Badger, and the mischievous Toad live a quiet life on banks of the River Thames with the rest of their animal friends. But Toad tends to get into trouble, and his passion for cars eventually results in his being caught and kept a helpless prisoner in the remotest dungeon of the best-guarded castle in all the land. Dressed as a washerwoman-and with some help from his friends-Toad manages to escape the castle and begins his journey home to Toad Hall. The Wind in the Willows is a book for those "who keep the spirit of youth alive in them; of life, sunshine, running water, woodlands, dusty roads, winter firesides." So wrote Kenneth Grahame of his timeless tale of Rat, Mole, Badger, and Toad. Includes unique illustrations. THANK YOU FOR SHOPPING AT QUAIL RIDGE BOOKS.